Made in Italy, the Mad Max Silent Dekton blade is specifically designed for use on Dekton and other ultra hard compact materials. 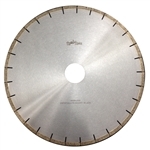 The ADW iKon Silent Blades are made in Spain and specifically designed for use on Dekton and other ultra hard compact materials. Sale price good through 4/30. 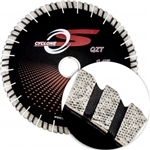 he Mad Max Silent Premium Granite Blade is designed with 20mm tall segments, for universal cutting of granite, hard marble, engineered stone and other natural stone. 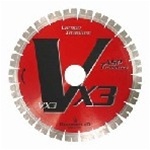 Available sizes: 14", 16" diameters.